Selling Your Home In San Francisco? Have a question? Visit our FAQ. All sellers seem to be concerned about the same handful of things. Will I sell it too low? No. The reason we know this is that it is our job to get the right numbers AND the right people in to see your house. Gauging the interest and fielding multiple offers is the mainstay of our business. 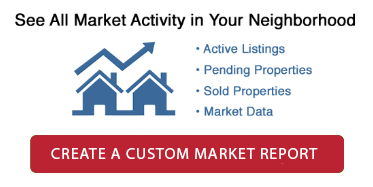 By marketing your property to the right niche, we will obtain the maximum bids your property can carry. How will the market respond to my home? Splendidly - we will work tightly with you to overcome any difficulties the property may present and present it in the best light - they're going to love it. What if the buyer bails or can't move forward? We'll ensure that the offer has a substantive deposit with it, which reduces this likelihood. In addition, we won't indicate your property is sold to any interested party until after that deposit is made. What if the inspections find something? They likely won't - we'll do one of our own so that there are no surprises. What if we get lots of showings but no offers? That doesn't happen if the property is priced right, and strategic pricing is one of our specialties.